The “Take a Stand” activity is a method for teaching controversial issues. The idea is simple. You ask a controversial question, and students line up according to their opinion. This can be used as an introductory activity, as a formative assessment, or as a closure activity. The method is also sometimes called the “continuum” method or the “barometer” method. First, you need to come up with an appropriate question. This should be a binary question where students can answer in one of two ways. For example, “Should students wear uniforms to school?” is a binary question that can be answered “Yes” or “No.” An open ended question like, “What should students be allowed to wear at school?” will not work. If possible, structure your question in a way that students will be divided over their answers. Second, ask the students the question and instruct them to line up so that those answering “Yes” are on one end and those answering “No” are on another end. Students who are unsure should stand in the middle, and they should stand closer to one end or the other if they lean in a particular direction. As they line up, students should be encouraged to briefly discuss their choices with each other. At the end, they should be arrayed along a continuum according to their opinions. Finally, ask at least one student from each end (and from the middle if applicable) to explain why they chose that position. Depending on how much time you have, you could do two or three rounds of these explanations. If there are a significant number of students who are undecided, you should give them an option to move to one side or the other after having heard from their classmates. You can use this method in a number of ways. It can be an introductory activity. For this to work well, it must be a controversial issue about which students have preformed opinions. 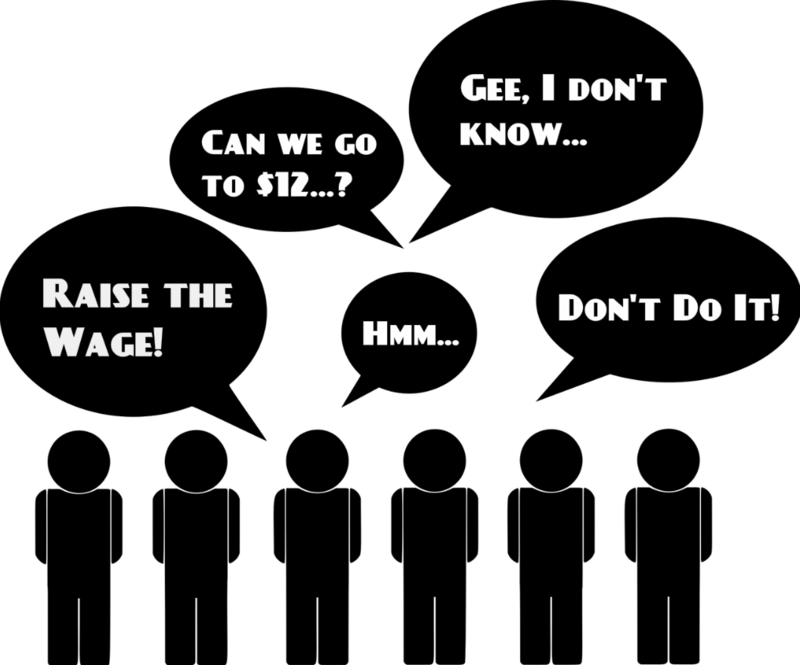 A question like, “Should the minimum wage be raised to $15 per hour?” will work well because people can relate to it. If students are unfamiliar with the topic, this won’t work so well. They need some level of information – even if it’s a misconception formed from pop culture – to make an initial decision. In this format, the Take a Stand method serves as a barometer to check in with the class. It could be used as a formative assessment part way through a lesson or unit. Once students have learned a limited amount of information about the topic, have them form a continuum and explain their positions. The explanations in particular will allow you to diagnose if there are any misconceptions and misunderstandings of what has been learned to this point. It can also be used as a closure activity. Perhaps you used a technique like a debate or a mock hearing in which only some students were able to actively participate. By using Take a Stand at the end, you give every student an opportunity to stake out their opinion. In the case of the debate, this can also be a way to measure who “won.” If one side was particularly convincing, then that should play itself out in the closing line up. While Take a Stand can be a good method to use as an introductory activity for a lesson on controversial issues, there are others. Another favorite of mine is A/B writing. This allows you to incorporate more than two concrete viewpoints, and it helps scaffold the process for your students to form an opinion. But it doesn’t get people up and moving around the way that Take a Stand does, and students can’t occupy a gray area in between points of view. Activities like Take a Stand are a great way to make your social studies class more fun. If you’re looking for other ways to teach civics in a fun way, check out this list of suggestions. When have you used Take a Stand or a similar activity, and how did it work out? What question did you ask the students, and were you surprised by their responses?